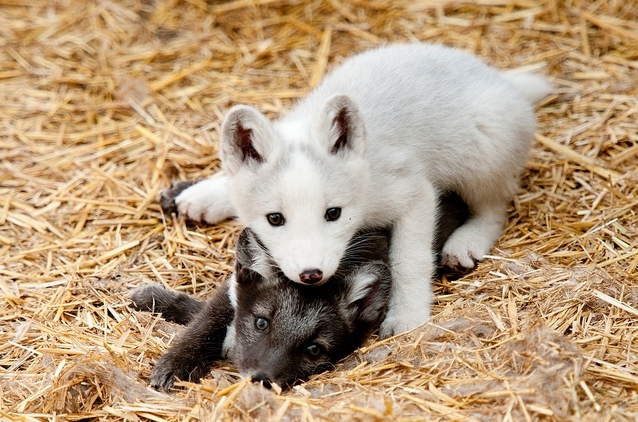 Photographer Sean Gordon took some outstanding photographs of young Arctic fox pups. 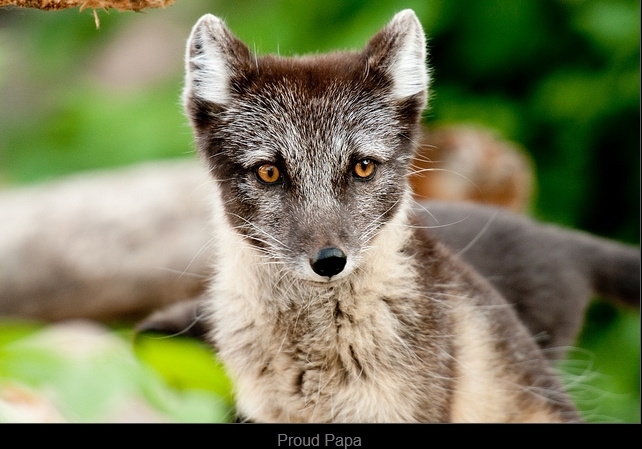 In the wild, Arctic fox litters typically comprise five to eight babies, although reports of as many as 25 kits in a single litter have been recorded. That would make for one massive puppy pile-on! 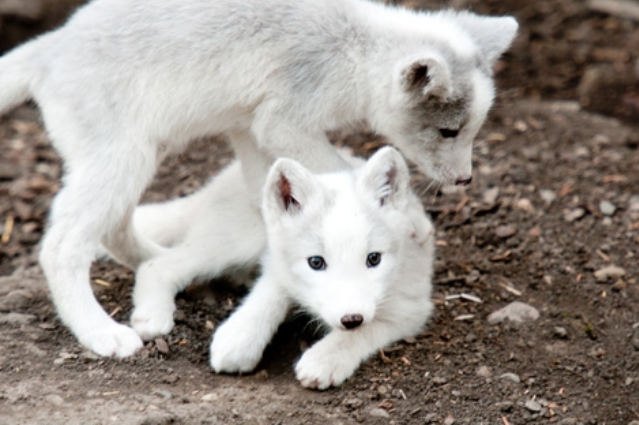 The arctic fox lives in some of the most frigid extremes on the planet. 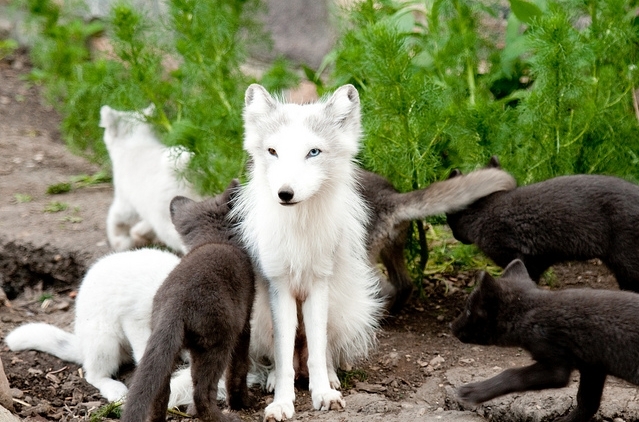 Among its adaptations for cold survival are its deep, thick fur, a system of countercurrent heat exchange in the circulation of paws to retain core temperature, and a good supply of body fat. 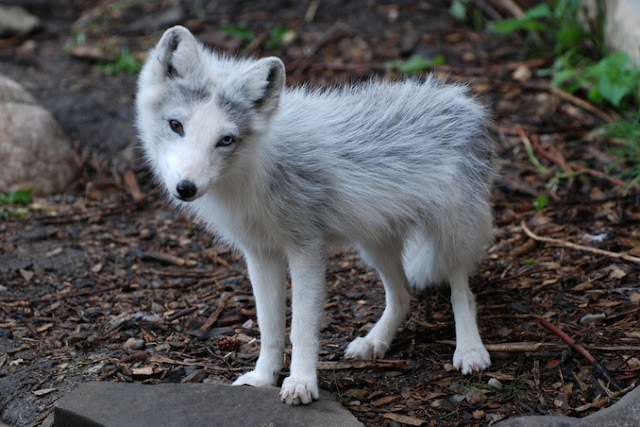 The fox has a low surface area to volume ratio, as evidenced by its generally rounded body shape, short muzzle and legs, and short, thick ears. Since less of its surface area is exposed to the arctic cold, less heat escapes the body. Its furry paws allow it to walk on ice in search of food. 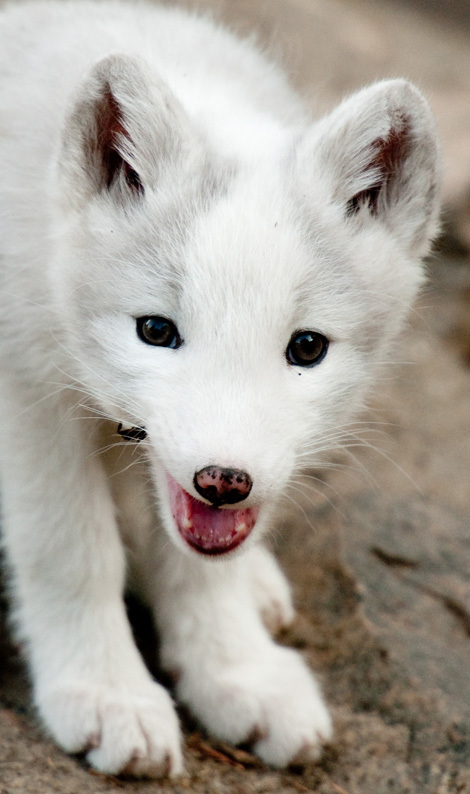 The arctic fox has such keen hearing that it can precisely locate the position of prey under the snow. When it finds prey, it pounces and punches through the snow to catch its victim. 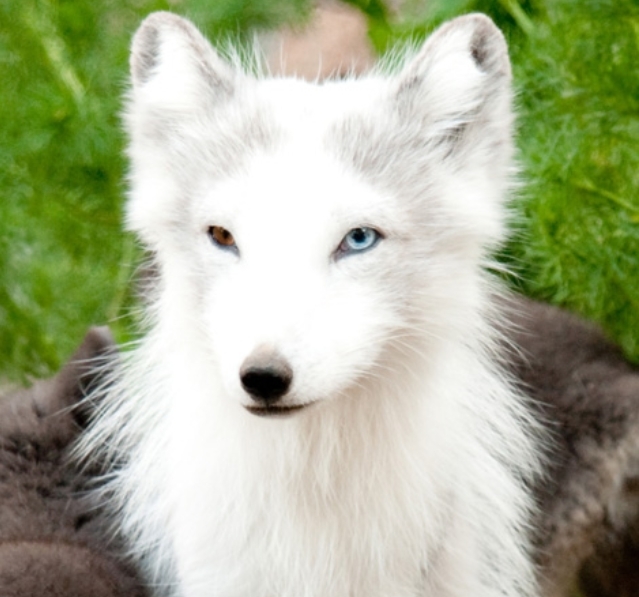 Its fur changes colour with the seasons: in the winter it is white to blend in with snow, while in the summer it is brown. 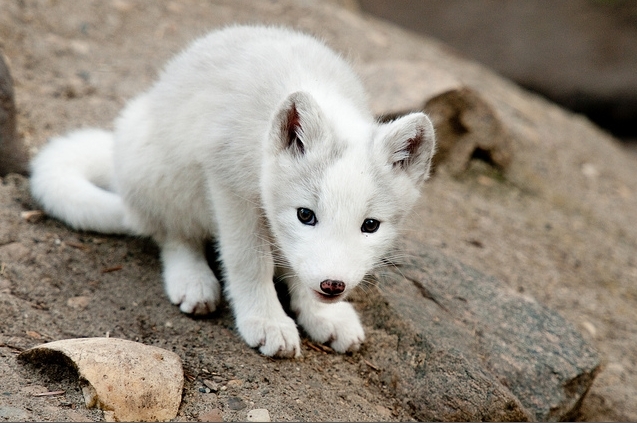 Responses to "Photographer Takes Heart-Melting Photos Of Young Arctic Fox Pups"